join us for OPENING PARTY of our month long POP UP !! 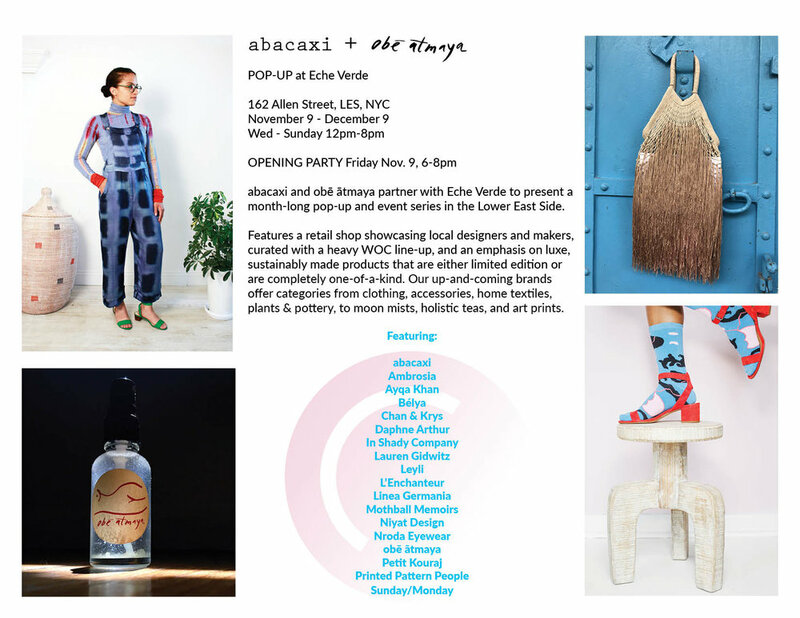 abacaxi and obē ātmaya partner with Eche Verde to present a month-long pop-up and event series in the Lower East Side. Features a retail shop showcasing local designers and makers, curated with a heavy WOC line-up, and an emphasis on luxe, sustainably made products that are either limited edition or are completely one-of-a-kind. Our up-and-coming brands offer categories from clothing, accessories, home textiles, plants & pottery, to moon mists, holistic teas, and art prints.